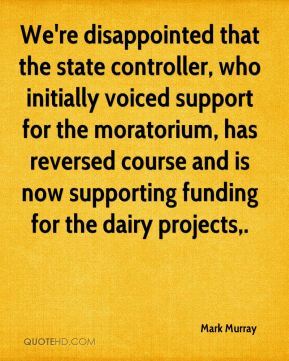 We're disappointed that the state controller, who initially voiced support for the moratorium, has reversed course and is now supporting funding for the dairy projects. You don't want to read too much into the track right now. But it passes just east of Austin. 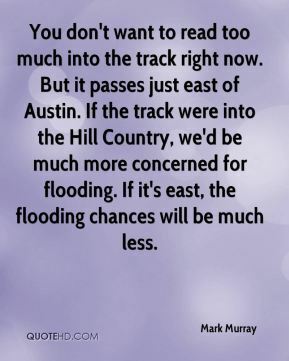 If the track were into the Hill Country, we'd be much more concerned for flooding. If it's east, the flooding chances will be much less. 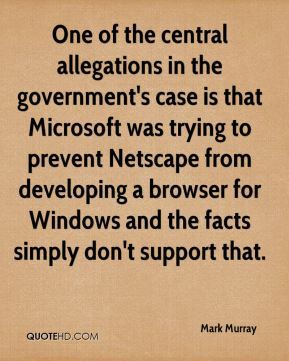 One of the central allegations in the government's case is that Microsoft was trying to prevent Netscape from developing a browser for Windows and the facts simply don't support that. We still have an open mind. 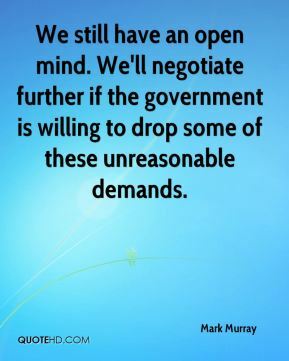 We'll negotiate further if the government is willing to drop some of these unreasonable demands. 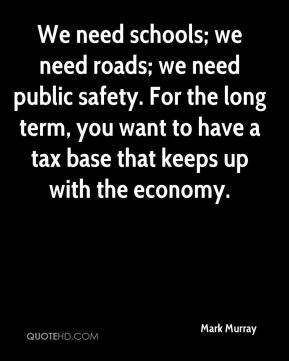 We need schools; we need roads; we need public safety. For the long term, you want to have a tax base that keeps up with the economy. We thought it was a very constructive meeting, ... 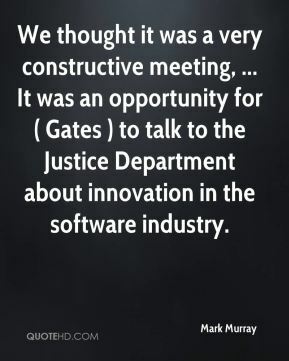 It was an opportunity for ( Gates ) to talk to the Justice Department about innovation in the software industry. In bringing the suit, we believe the government has made a choice that's not in the best interest of consumers. 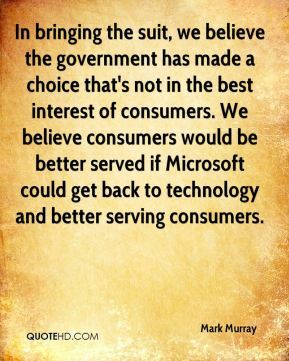 We believe consumers would be better served if Microsoft could get back to technology and better serving consumers. Technically, this is simply what's called the 'answer' to the complaint. 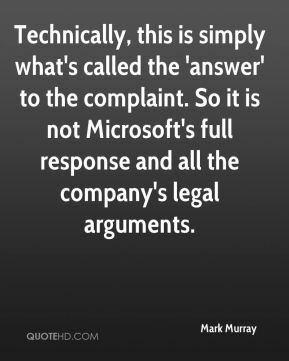 So it is not Microsoft's full response and all the company's legal arguments. The facts show that there was a broad negotiation between Microsoft and Apple. The facts show that Apple had put a $1.2 billion patent threat on the table against Microsoft. . . . 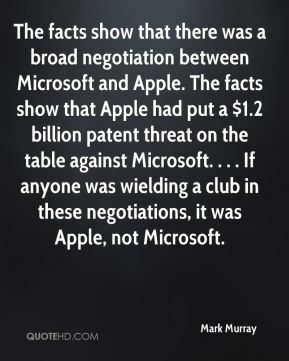 If anyone was wielding a club in these negotiations, it was Apple, not Microsoft. 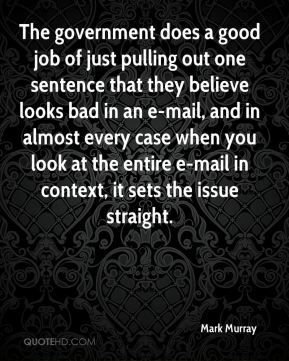 The government does a good job of just pulling out one sentence that they believe looks bad in an e-mail, and in almost every case when you look at the entire e-mail in context, it sets the issue straight. 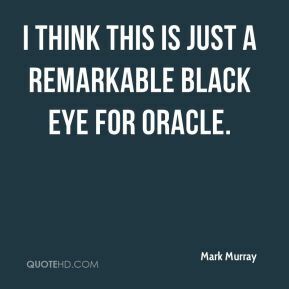 I think this is just a remarkable black eye for Oracle. 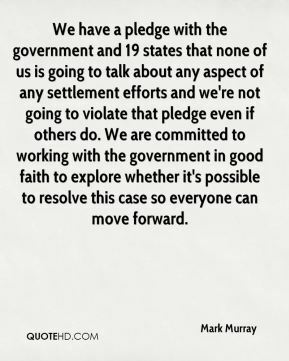 We have a pledge with the government and 19 states that none of us is going to talk about any aspect of any settlement efforts and we're not going to violate that pledge even if others do. We are committed to working with the government in good faith to explore whether it's possible to resolve this case so everyone can move forward. 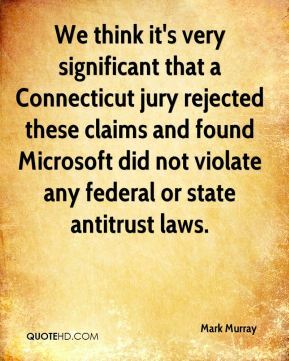 We think it's very significant that a Connecticut jury rejected these claims and found Microsoft did not violate any federal or state antitrust laws.